Imam Zayn al-Abidin (A.S.) went to the Mecca to perform the Hajj pilgrimage. Meanwhile Hisham ibn Abd al-Malik (the crown-prince of the Umayyad dynasty at the time) went there for the same purpose. Hisham tried his best to reach the Kaaba but he was unable to do that, for the people were overcrowded around it. Every time he would try pushing and forcing his way through – he would be pushed back by the crowd circulating around the Kaaba. He decided to give up and wait till the crowd became less so would be able to go through with ease. A pulpit was installed and he sat on it. He began looking at the crowds of the people from above. Then Imam Zayn al-Abidin (A.S.) came to perform his circulation of the Kaaba. When the pilgrims saw him, they were astonished at his humble solemnity and the glow of piety on his face, the face was similar to that of his grandfather,Prophet Muhammad, may God bless him and his family. The people were shouting: “There is no god but God! God is great!” – With great respect – they parted, made way for him and allowed him to pass through to kiss the Kaaba. The Syrians were astonished when they saw that situation. The pilgrims saw the people did not receive Hisham, the nominated caliph after his father, warmly though the Syrians honored him and the Caliph’s guards surrounded him. One of Hisham’s companions from Syria asked him: “Who is that man whom the people have honored very much?” Hisham was hurt and pretended not to know the Imam and angrily, shouted at the man, saying: “I do not know him! The great Arab poet Al-Farazdaq was there. He knew that Hisham was lying. He could not control himself at this insult to the great Imam. Thus, he said to the Syrians: “I know him.” “Who is he, Abu Firas?” The Syrians asked. Hisham shouted at al-Farazdaq, “I do not know him!” “Yes, you know him.” replied al-Farazdaq. Then he rose and composed the following poem whose effect was stronger than the hitting of the swords and the stabbing of the spears against Hisham. 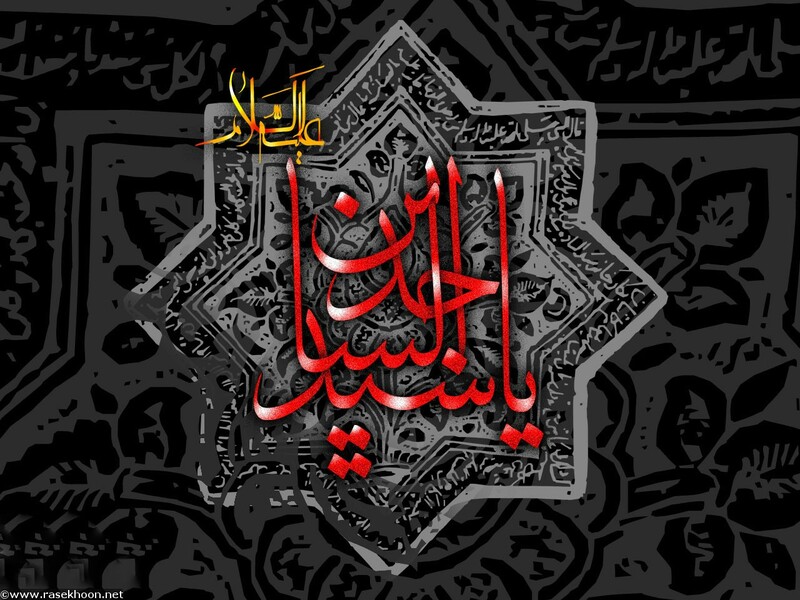 This is the son of Husayn and the grandson of Fatima the daughter of the Apostle through whom the darkness dispersed. This is he whose ability the valley (of Mecca) recognizes, He is known by the (Sacred) House and the Holy sanctuary and the lands outside the sanctuary. This is the son of the best of God”s servants. This is the pure pious man, the pure eminent man. When the Quraysh saw him, their spokesman said: Liberality terminates at the outstanding qualities of this (man). He belongs to the top of glory which the Arabs of Islam and non-Arabs fall short of reaching. When he comes to touch the wall of the Kaaba, it almost grasps the palm of his hand. He takes care to be modest and he is protected from his fears. There is a cane in his hand. Its smell is fragrant from the hand of the most wonderful (of all the people), who is proud. The prophets yielded to his grandfather’s favor. The nations yielded to the favor of his community. The light of guidance emanates from the light of his forehead. He is like the sun whose shining disperses darkness. His family tree belongs to the Apostle of God. Its elements, its natures, and its qualities are good. This is the son of Fatima if you do not recognize him. His grandfather was the seal of Prophethood. God honored and favored him from antiquity. Your words ‘ who is this?’ do not harm him. All the Arabs and non-Arabs recognize him whom you deny. Both his hands are relief. Nonexistence does not befall them. He is the carrier of the burdens of the people when they are oppressed. The ‘ yes’ is sweet with him. He does not break a promise. He is intelligent when he decides. He is from the people whose love is religion, whose hate is unbelief, whose approach is refuge and protection. If the God-fearing are numbered, they are their Imams. If it is said who are the best of the earth, it is said they are. No generous man can reach their far purpose. No people, though generous, can compete with them (for generosity). They are rain when a crisis happens. They are lions when fear becomes intense. Poverty does not decrease the relief from their hands. That is the same, whether they are rich or poor. Misfortune and tribulation are driven away through their love. Kindness and the blessings are regained through it. In every affair their praise is after the praise of God. The speech is ended by it. Abasement refuses to stop at their space. Their natures are noble, and their hands are full of liberality. None of mankind has within their souls such primacy as he does or such grace as he does. Whoever knows God, knows His friend. Our Religion came from the House of this man. Hisham was so furious at al-Farazdaq after hearing this poem, he ordered that he should be imprisoned in Asfan, located between Mecca and Medina. In prison, he continued to write poetry in favor of the Ahl al-Bayt. Imam Zayn al-Abidin sent some money to al-Farazdaq, since he was in the prison and had no means of earning his livelihood. Al-Farazdaq didn’t accept it and said that he had recited the poem only to please God. The Imam insisted and sent him the money saying: “God Almighty is well aware of your intention, and will reward you appropriately. If you accept this money, it shall not reduce your reward from God.” And he urged al-Farazdaq to accept the gift and finally al-Farazdaq accepted it. This entry was posted in History, Religion by ballandalus. Bookmark the permalink.